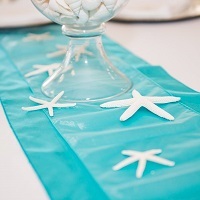 Add a Layer to your table with a Sash over your Table Runner. *This selection includes Sash only. Additional décor pictured, including Table Runner must be requested separately.